RTVSLO, the Slovenian national broadcaster, has revealed the running order for the final of EMA 2018, the Slovenian national selection for the Eurovision Song Contest 2018. 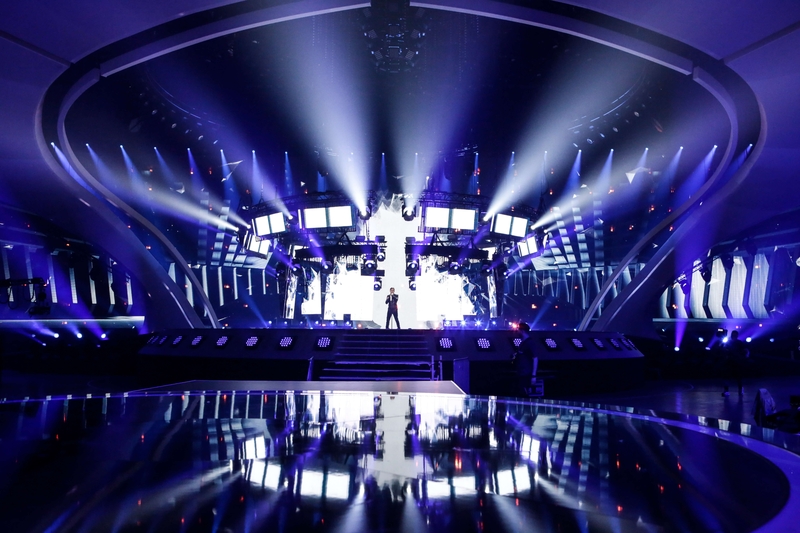 The language rule in the semi-final, which stated that all songs must be performed in Slovene, has been lifted for the final. INA SHAI and BQL have chosen to perform their songs in English. The rest of the entries will remain in Slovene. The final of EMA 2018 will take place on February 24 in RTVSLO Studio 1 in Ljubljana. Joining Vid Valič to host the show will be Raiven, who participated in EMA 2016 and 2017. She will perform her two EMA entries, “Črno bel” and “Zažarim”, as well as her new single. Also performing during the show will be Omar Naber who represented Slovenia in 2005 and 2017 and Amaya, the Slovenian representative in 2011. The winner will be chosen by six regional juries (50%) and public voting (50%). The Slovenian representative in Lisbon will succeed Omar Naber, who represented Slovenia in Kyiv last year with “On My Way”. He finished 17th in semi-final 1 with 36 points, thus failing to qualify for the final.